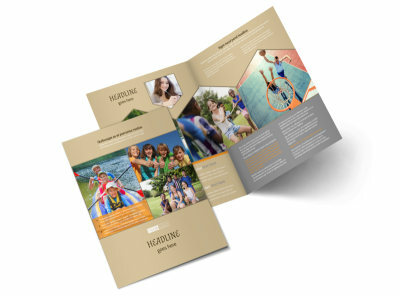 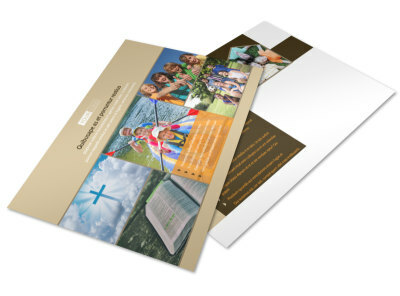 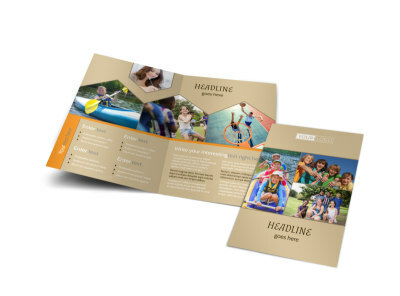 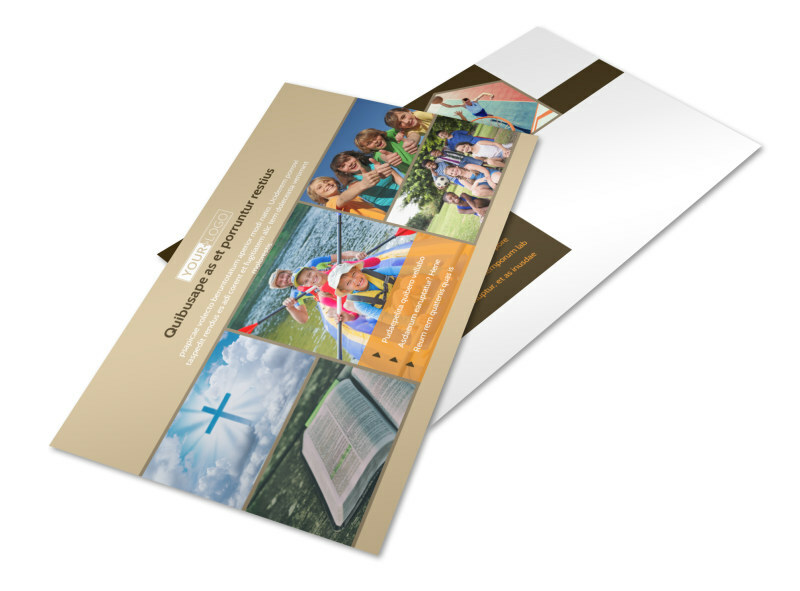 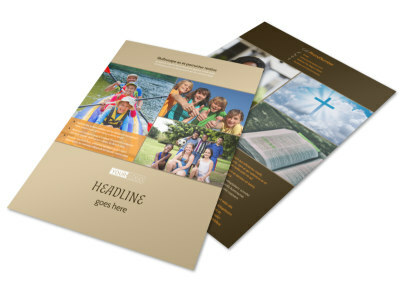 Customize our Bible Camp Postcard Template and more! 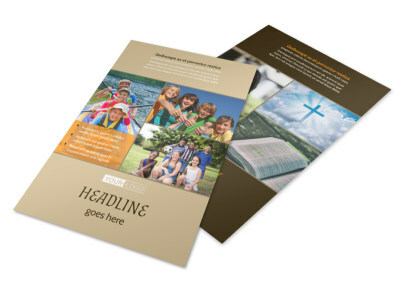 Remind church-goers of enrollment deadlines for their children with Bible camp postcards designed using one of our templates with our easy-to-use online editor. 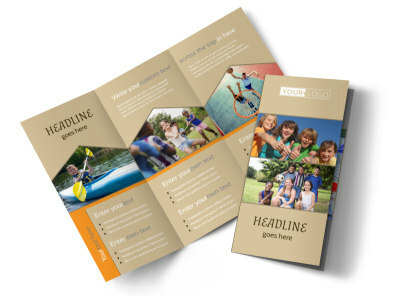 Add design elements of your choice, including photos from past camp sessions, religious symbols, and a color theme of your choosing. 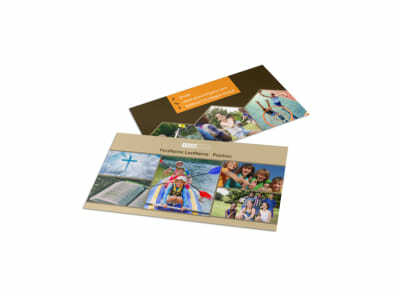 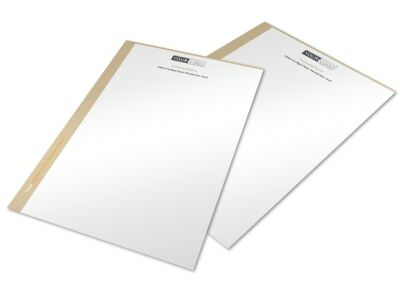 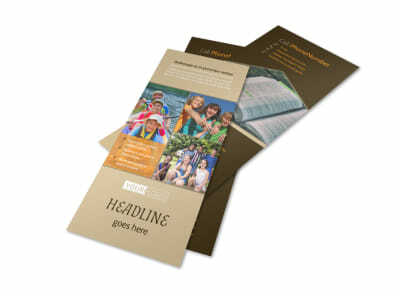 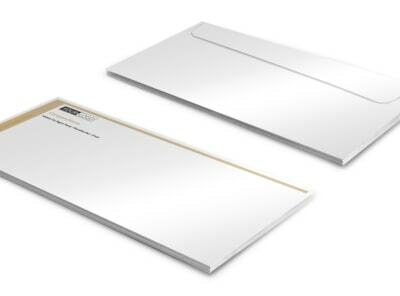 Print from your own printer for instant access or utilize our expert printing services for premium quality postcards.